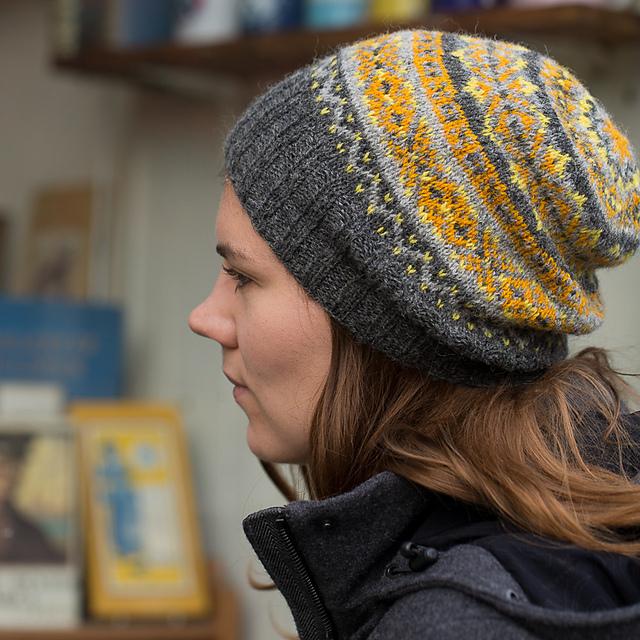 Ever since Jane Lithgow and Anna Feldman began their Thursday evening Sweater Clubs they’ve been on a mission to spread their message of sweater knitting comfort and joy. 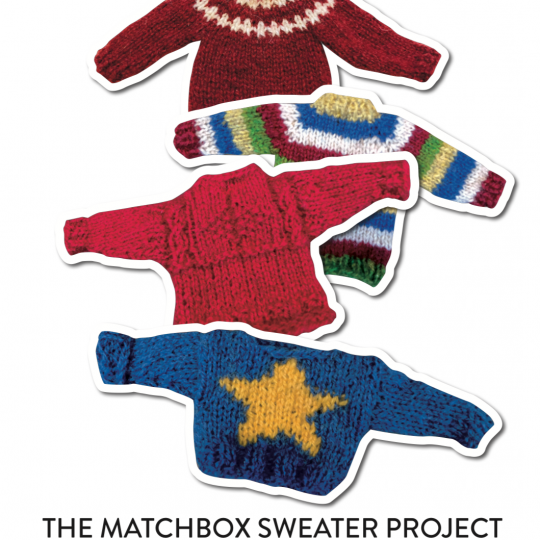 The Matchbox Sweater Project is their latest attempt to stretch the knitting comfort zones of flat-scarf-knitters and persuade them that sweaters are within reach, by scaling things right down. 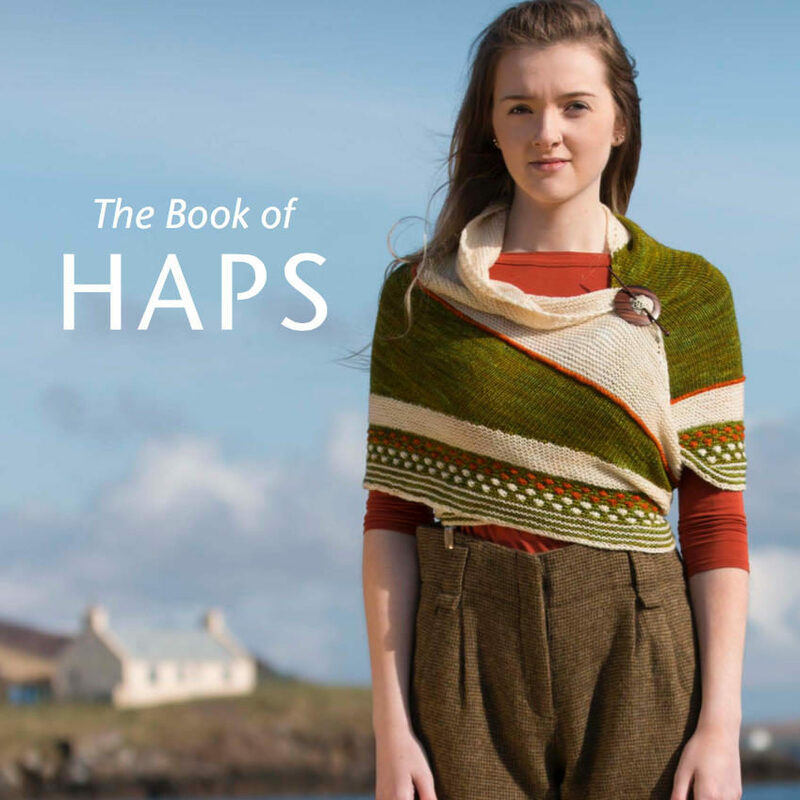 This pattern booklet includes designs for 4 mini sweaters: a traditional guernsey, a drop-shoulder pieced sweater, a top-down raglan and top-down fairisle yoked sweater. 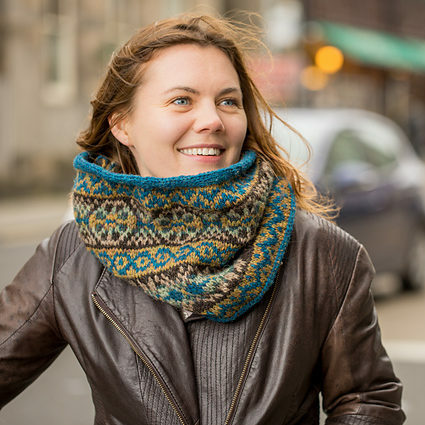 Each pattern requires about 8g of 4ply yarn and some 2.5mm DPNs or 80cm circular needles so the patterns are an ideal way to finish up left-overs from other projects. 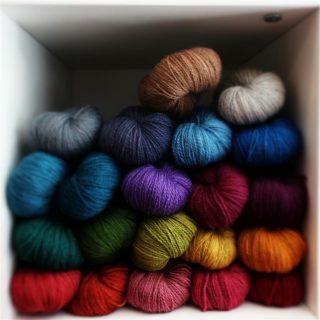 Samples have been knitted in Jamieson 2ply Jumper-weight.